Home to the islands of Bora Bora, Moorea and many others, Tahiti makes for the perfect island-hopping adventure for those travelers born with a little wanderlust. But no matter which island you are staying at, you can expect two consistent themes: natural beauty and rejuvenating culture. From open air markets to flowing dance to wonderful snorkeling and scuba diving, there are so many high points to experience. We especially recommend a stay in an iconic overwater bungalow and rejuvenating body and spirit in a Polynesian spa. It is indeed time for Tahiti. 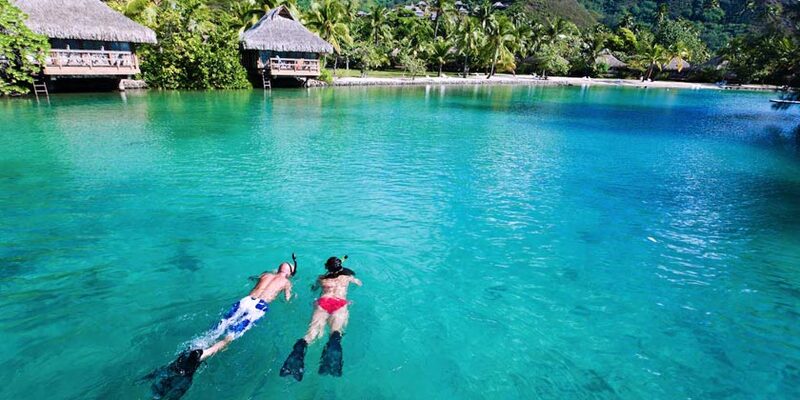 Discover the highlights of Tahiti on a guided tour of the natural and cultural sites on the island. Travel in a 4 wheel drive vehicle where you will discover deep valleys, thick rainforests, and beautiful large waterfalls. This hiking tour will take you to the popular Mount Aorai with spectacular sites along the way. Resort info: Close to Moorea Green Pearl Golf Course, Pihaena Beach and Temae Beach. Resort info: Pamper yourself with a visit to the spa, which offers massages, body treatments, and facials. After a day at the private beach, you can enjoy other recreational amenities including an outdoor pool and a spa tub. Resort info: Located in Moorea, Hotel Hibiscus is on the waterfront and close to Tiahura Beach and Tiki Village Cultural Centre. Resort info: Located in Moorea, Fare Vaihere is by the ocean, minutes from Moorea Tropical Garden, and close to Pihaena Beach. Resort info: Manava Suite Hotel boasts the largest infinity pool on the island, complete with the popular Taapuna Pool Bar. Resort info: With a stay at Relais Maroto in Papenoo, you'll be within the vicinity of Calvary Cemetery and Fautaua Waterfall. Resort info: With a stay at Hotel Sarah Nui in Papeete, you'll be in the business district and minutes from Musee de la Perle Robert WAN - The Robert WAN Pearl Museum and Place Vaiete. Resort info: The resort offers an unique experience at the edge of a lagoon on one of the island's most beautiful white sandy beaches.